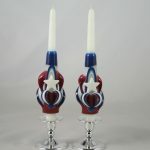 Our original design is the most popular choice when ordering a unity candle set. Large sculpted hearts are flanked by spiral ribbons and curls. 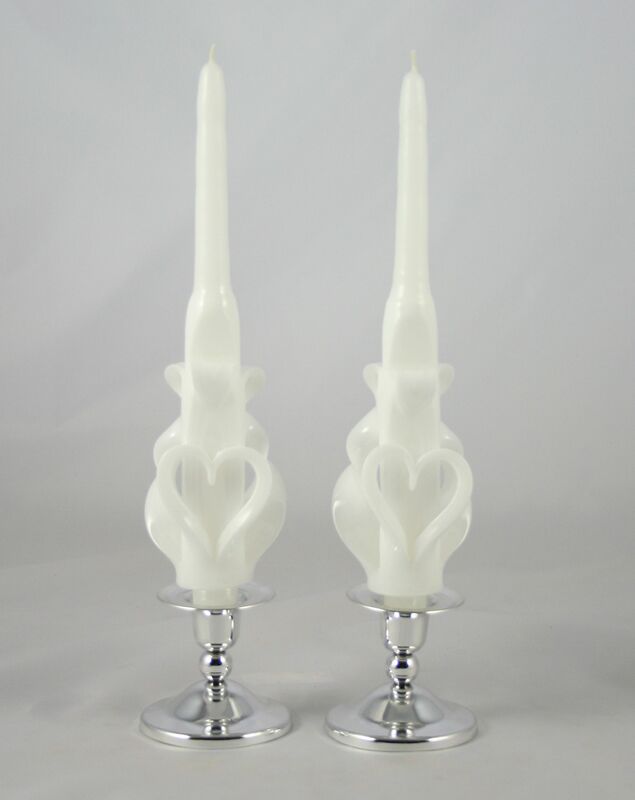 Made to coordinate with our Wedding, Sweetheart and Sweetheart Flare style candles. 10″ tall. 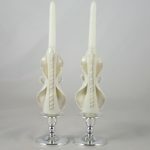 Tapers are sold by the pair, select a quantity of one and you will receive a pair of tapers. Click image to expand. 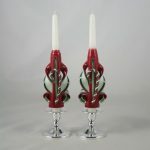 Our original design is the most popular choice when ordering a unity candle set. Large sculpted hearts are flanked by spiral ribbons and curls. Made to coordinate with our Wedding, Sweetheart and Sweetheart Flare style candles. 10″ tall. 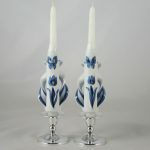 Tapers are sold by the pair, select a quantity of one and you will receive a pair of tapers.